I couldn’t believe it. 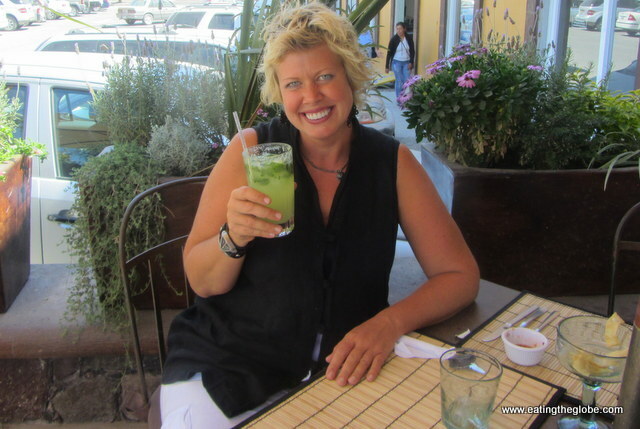 My excitement mounted when I learned that we actually had a place that served pho (pronounced “fuh”, like rhyming with “duh”) in San Miguel de Allende. I made the trek out to OKO, thoughts of a comforting broth made of star anise, cinnamon, ginger, and clove swimming inside my head. Pho is God’s food, in case you didn’t know. As someone who used to eat pho on almost a weekly basis, I couldn’t believe I had gone five months without a taste of pho. 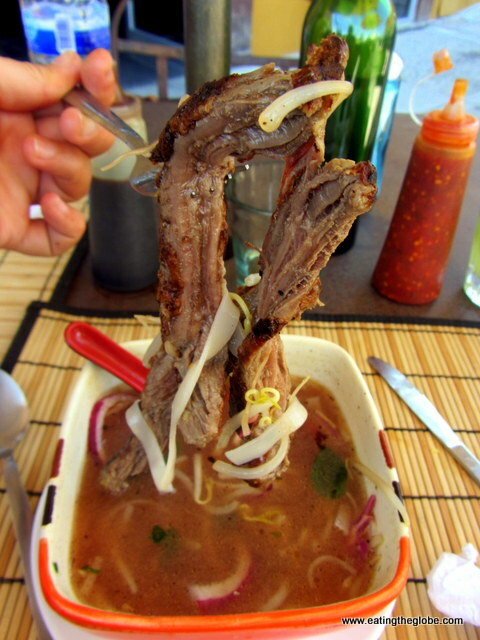 One of the main things I love about pho is the thinly sliced variety of meat that usually comes in it. 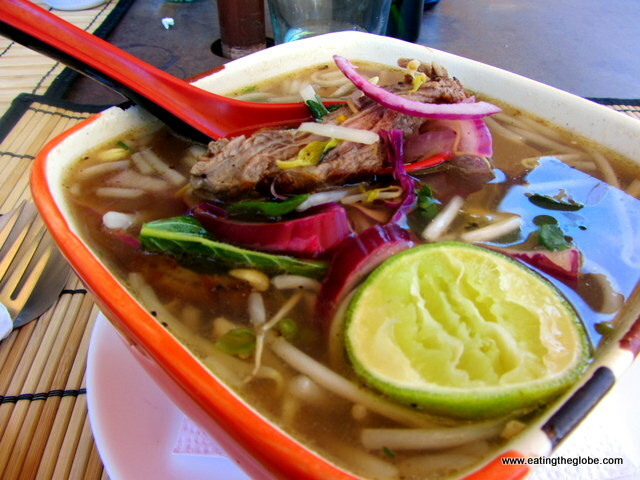 The complex broth for beef pho is usually made by simmering beef bones, brisket, and fatty flank steak with the many spices. When I eat it, I usually feel comforted, like I am receiving a hug from my mom. Tell me, does this look like a hug from your mom? 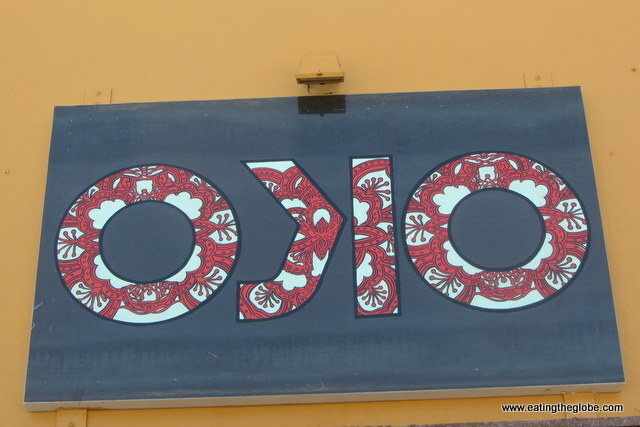 Speaking of trendy, too bad OKO doesn’t put the same thought into their food as they do with trying to be trendy with the backwards K on their sign. Is this a hipster thing? Also, I didn’t taste any fish sauce in the broth, there were no chiles served as garnish (I have never seen a Thai chile in Mexico, but c’mon, you could have at least substituted jalapenos, OKO. I mean, you thought to substitute phojita meat. 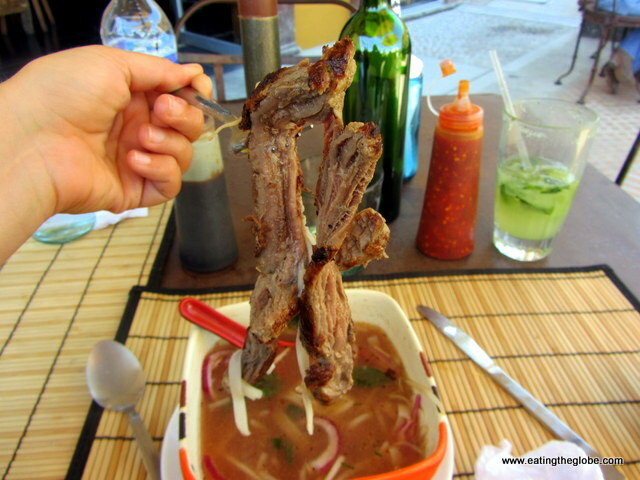 So the verdict on getting decent pho in San Miguel de Allende? Sadly, you can phoget about it pho now. 16 Responses to "Pho? More Like Phojita Soup At OKO In San Miguel de Allende"
Yes, I still ate some of it, and probably would have eaten more if the meat hadn’t been so overdone! Your remark that ethnic food in Mexico always tastes Mexican is on the money. I have given up on finding good paella, for instance. I think Mexicans who open, or work in, these places simply have never eaten a genuine version of what they are serving. Must come from a cookbook, and then they cannot resist Mexicanizing it. I recall Eggs Benedict I once was served in Michoacán. There was an amazing resemblance to Huevos Rancheros. I love pho. I’ve eaten tons of pho in Houston where I once lived and which has scads of Vietnamese immigrants, and it seems they all opened a restaurant. Your review of this place, which is within driving distance of where I now live, makes me roll my eyeballs and then weep. Thanks for saving me a trip. Felipe, sorry to make you weep. I was weeping, too. Though, I’m moving to Asia soon, so you will see the real version of pho sometime in the future! Wow, that’s definitely not the Pho I know. It’s a shame that’s some weird beef brisket soup being marketed as Pho. So many Pho puns! 🙂 .. That’s definitely saddest excuse of pho I’ve ever seen, ever. May need to find out if there’s a city in Mexico with actual Vietnamese immigrants, then maybe real pho shall be found. Yes, that would be the thing to do…good thing I’m moving on to Asia! I really enjoy these posts! I’m sorry the food wasn’t as good as it looked. 🙁 Thanks for sharing. Ha, you made me laugh Val. Good one! I’m sorry the meal wasn’t very good, but you did make me laugh. I love “phojita”!